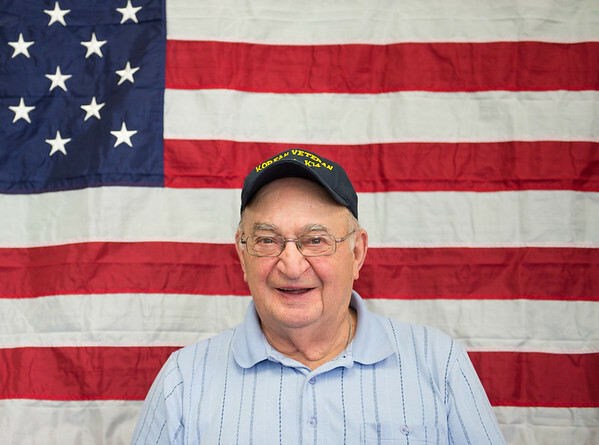 JOED VIERA/STAFF PHOTOGRAPHER-Cambria, NY-Veteran Frank Gergao is interviewed by Carl Miller for a DVD project to preserve veterans service stories for posterity. Carl performs the interviews at St. Peters Church on 4169 Church Road in Cambria. If you or any of your family members are interested in participating in the recordings you can contact the church office at 716-433-9014.